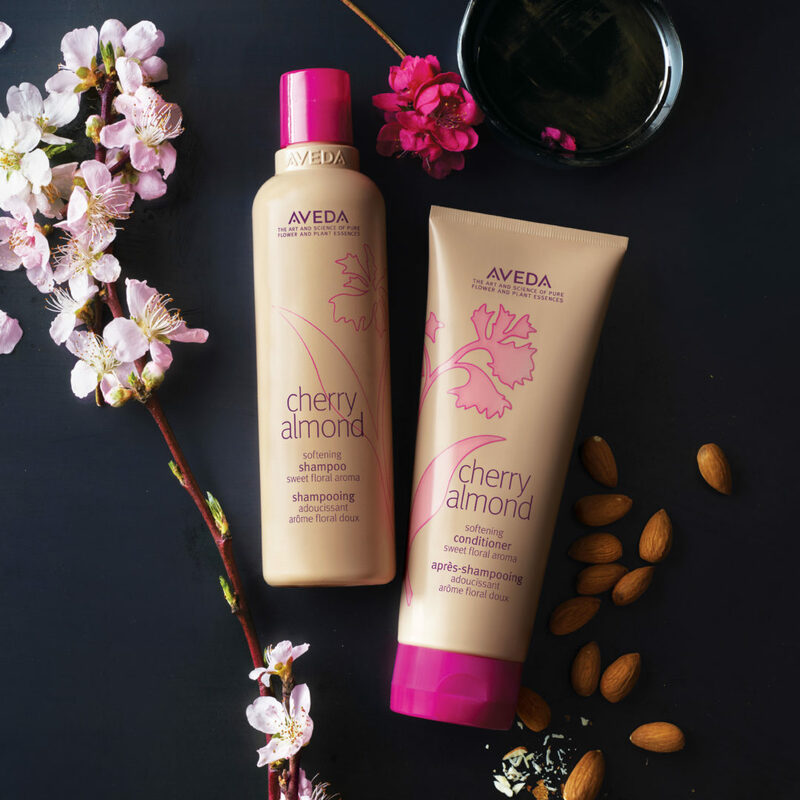 SECKINGTONS LOVES… Aveda Cherry Almond! Coming soon to Seckingtons Northampton and Milton Keynes is Aveda Cherry Almond. This cruelty-free formula is ‘soft not silicone’. 98% naturally derived, Cherry almond leaves hair touchably soft, shiny and full of weightless bounce with a cherry blossom and omega-rich almond oil blend. Sweet not simple, the beautiful cherry almond aroma is crafted by the pure-fume™ masters at Aveda from 38 flower and plant essenses including tonka bean, orange and ylang ylang, it is 100% naturally derived where many scents like it are synthetic. CHERRY ALMOND SOFTENING SHAMPOO – Deeply yet gently cleanses with babassu and coconut-derived ingredients. CHERRY ALMOND SOFTENING CONDITIONER – Instantly detangles and deeply conditions with certified organic coconut oil and shea butter, not silicones. These products have already sold-out twice online, so to join the waiting list for the most sought after haircare regime of the year ask your stylist!